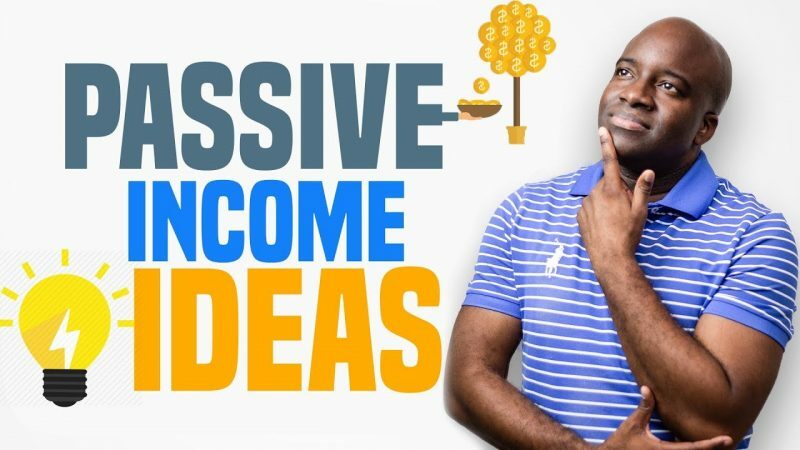 In this video, I’m going to be discussing 5 Passive Income Ideas and how you can start generating passive income in your life. 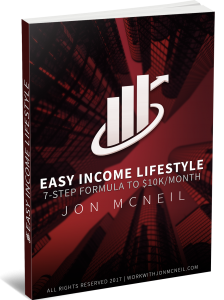 I hope you enjoyed this video and please let me know what passive income ideas that you might do to generate income on a routine basis. How are you creating Passive Income in your life? Striving! That's me! Great word for it 🙂 I'm on the striving path and should end up on the success path soon! Determined! Another great video Jon! I currently have a blog for affiliate marketing but I'm in the process of switching to a niche I'm more passionate about. When the time is right, I'd also like to get into product creation. Blogging as I understand is a slow but a good long term method once google starts acknowledging your website. A shorter version of blogging requires more of an investment, but allows for more exercise. It is called Logging.Another method (#6) is even better. Youtube has proven to be worthwhile, thanks to you. Hi Jon, Another great video! I'm still hurt that I didn't win the cash contest (haha, just kidding), but I'm going to give it another shot today! 🙂 To answer your question, I do affiliate marketing out of the list of passive income sources you listed. Also, here's another passive income source I implement that your subscribers might enjoy too: Selling Print on Demand items on established marketplaces such as RedBubble, Society6, Merch by Amazon, and SunFrog. Many of these print on demand marketplaces already have built in buyer traffic, so you can often just upload a nice design and the sales will start to come in shortly after. Since Print on Demand sites handle all of the customer service and fulfillment, this really is a truly passive income source. Here's a good print on demand tip for your subscribers: Look at what is already selling on these marketplaces by sorting by "Best Sellers" or "Most Popular". Then, put your own creative spin on a similar design. You can usually find someone on Fiverr to create a great design for you for about $5-$10! Of course, the more designs you upload, the more "passive income assets" you'll have set up on these marketplaces. Each design can continue to generate revenue for many years to come! Another thing that's super cool about some of these print on demand sites, such as RedBubble, is that when you upload your design, they'll display your design and sell it on tons of different products, not just t-shirts. So, your one uploaded design can be sold on phone cases, coffee mugs, t-shirts, hoodies, and even on more unique items such as clocks, leggings, and tapestries. So, each individual print on demand design image can represent multiple sources of income, for each product the design can be sold on. I hope this bonus passive income tip helps create another cool source of revenue for your subscribers. Enjoy!